My son is in the throes of getting his first tooth and is majorly teething. Plus, he has always been a MAJOR DROOLER and Spits Up A LOT so I am constantly putting on clean bibs, giving him teethers for him to chew on and changing his clothes! Yes, we do A LOT OF laundry!!!! But lately Kalencom Corporation has been helping me out with their newest products, the Cheeky Chompers, which includes Neckerchew and Comfortchews. Cheeky Chompers is a unique combination of dribble bib and teether; the Neckerchew is the convenient and fashionable answer to babies and mothers who are continually picking up, losing, or cleaning simple handheld teethers and the Comfortchew combines 4 baby essentials; a lovey, teether, sensory tags and ribbons, and softness of a plush toy or security blanket. Both products come in a variety of colors and patterns and are sure to soothe tender gums and comfort baby in more ways than one. I received the Twinkle Twinkle Neckerchew and it adds a little touch of sparkle to my little star. It features a stylish reversible cool grey and navy stars with navy reverse with an attached navy teether. It is super absorbent - 3 layers and is 2 bibs in one. This bib is so cute on my son and he loves that it also works as a teether because he sticks EVERYTHING IN HIS MOUTH! So not only do catch the drool, spit up and food, but I get a teether that I don't have to constantly pick up off the floor or wash! I also received the Unistripe Comfortchew that feature unisex lime green and turquoise stripes with luxurious cream cuddle fleece reverse. It features an attached cream teether, ribbon tags and elasticated link for attaching to the baby’s wrist, cot, car seat, buggy or dummy. 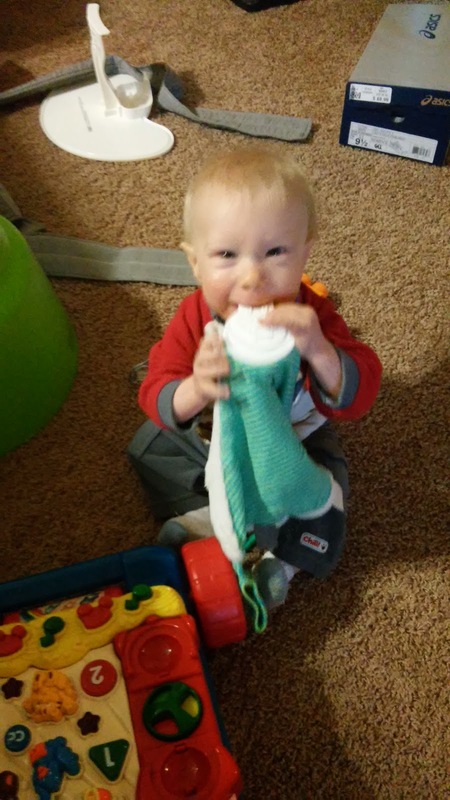 I really love that it is machine washable because my son constantly slobbers, spits up and drools on this comfortchew! 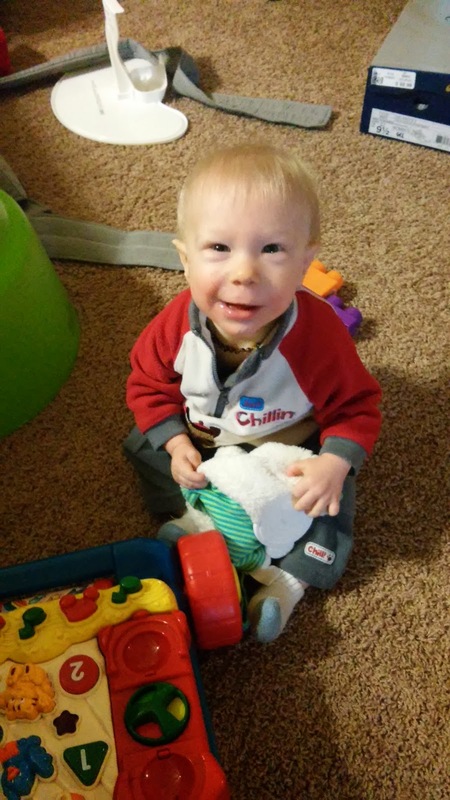 The minute I gave my son the Comfortchew he instantly cuddled it, chewed on it and loved it! The material is SO SOFT and it made me want to snuggle up with it too! It is the perfect sleep accessory, play toy and teether all in one! You can purchase Comfortchews and Neckerchews from the Cheeky Chompers online store. Cheeky Chompers is generously offering (1)Neckerchew to a lucky winner!